If you are planning a move to Brondesbury and are already having anxiety attacks about how you would get through moving day, you should consider giving our removal company Moving Service a call. Whether you are relocating office or moving house in Brondesbury, NW6, we can help you with all your removal needs, be it simply a man with a van service or the entire removal package, including packing supplies, extra helping hands and door-to-door transport. At Moving Service, we understand how important and nerve-wrecking the move can be for you. This is why we have a team of extremely professional, experienced and friendly staff and crew who are always at hand to answer any queries you might have. 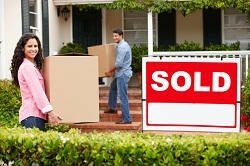 They will even assist you with planning your move from scratch and provide an estimated quote for the services, if requested. So give us a call at 020 8746 4402 to learn how we may assist you with your removal in Brondesbury, NW6. The area, which falls under the London boroughs of Brent and Camden and covers the postcode district of NW6, is located only four miles northwest of Charing Cross. The area is very well connected to the rest of the city with railway links on both the overground and underground networks. Trains that service Richmond, Highbury and Islington and Stratford on the North London line of the London Overground network stop at Brondesbury Station and Brondesbury Park Station. The Jubilee, Metropolitan and Bakerloo underground line serve Kilburn Station, which is only a few metres away from Brondesbury Station on Kilburn High Road. Besides, there are several bus routes into West End and easy access to the A406, A5 and M1 motorways. The area’s real estate architecture revolves mostly around smaller Victorian or Edwardian terraced houses, but a number of modern flats have also been developed recently in the area. The area also offers a good choice of restaurants and shopping areas in the vicinity. Brondesbury Park is a well planned residential area with wide roads and beautiful tree-lined streets that adds to the elegance and beauty of the properties. The area offers secure and affordable living especially to those who prefer an urban lifestyle. We are sure you would enjoy moving to Brondesbury, NW6 but do not let the hassle and stress of organizing the removal take away from the joy of experiencing a new place and home. Moving Service is an established and highly professional removals and delivery company that has been operating here for many years now. We aim to provide a one-stop solution for all your packaging and removal needs. Some of our more popular services include supply of packaging materials, rental van and a man service with transport vehicle of various specifications, crew for extra assistance, insurance etc. We extend the same respect and care to your belongings as you would and ensure that they are packed and removed using damage-free techniques and experienced moving crew. We understand that not all of our customers have the same requirements; this is why we offer a flexible range of services that you can pick from, depending on your budget and time. From the initial survey, through to planning and executing the move, our group of trained professional movers in Brondesbury will be with you all the way to ensure that the process goes without a hitch. The extensive and loyal customer base that we enjoy in the area is our best advert for the quality of service we provide and the high standards which we strive to maintain. So if you are on the fence about hiring a removal company in Brondesbury, NW6, give us a call on 020 8746 4402 and let us convince you why hiring us would be a good idea. Moving Service in Brondesbury is a top-notch removal company. They handled each and every piece of furniture with great care nothing missing or broken.